You need tunes. You need navigation. This clever addition controls the good stuff. 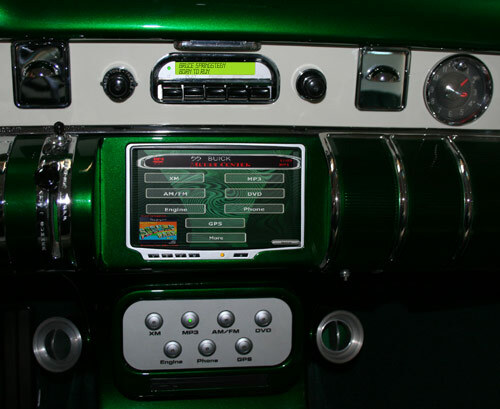 The touch screen hides behind the original dash speaker grill when not in use.